Custom Team Cycling Apparel. Made in Minnesota. Concierge-Level Customer Service. We Make Custom Easy! Podiumwear designs and manufactures custom cycling jerseys, bibs, shorts, jackets, vests, skinsuits and more for teams and clubs. We offer three levels of products - Gold, Silver and Bronze - for road, mountain bike, fat bike and enduro riding. 5-Piece minimum, fast turn-around time and friendly, approachable people. 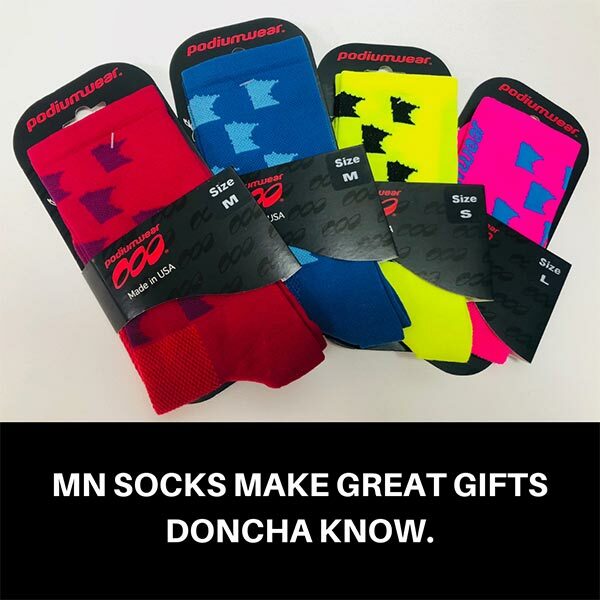 All our products are made with pride in Minnesota.